John Gerring (PhD, University of California at Berkeley, 1993) is Professor of Government at the University of Texas at Austin, where he teaches courses on methodology and comparative politics. He is the author of Party Ideologies in America, 1828-1996 (Cambridge University Press, 1998), Social Science Methodology: A Unified Framework (Cambridge University Press, 2d. ed. 2012), Case Study Research: Principles and Practices (Cambridge University Press, 2d. ed. 2017), A Centripetal Theory of Democratic Governance (Cambridge University Press, 2008), Concepts and Method: Giovanni Sartori and His Legacy (Routledge, 2009; with David Collier), Applied Social Science Methodology: An Introductory Guide (Cambridge University Press, 2017; with Dino Christenson), along with numerous articles. He served as a fellow of the School of Social Science at the Institute for Advanced Study (Princeton, NJ), as a member of The National Academy of Sciences’ Committee on the Evaluation of USAID Programs to Support the Development of Democracy, as President of the American Political Science Association’s Organized Section on Qualitative and Multi-Method Research, and as a fellow at the Kellogg Institute for International Studies, University of Notre Dame. He has received grants from the Clinton Global Initiative, the National Science Foundation, and the World Bank. He is co-editor of Strategies for Social Inquiry, a book series at Cambridge University Press. He also serves as co-PI of Varieties of Democracy (V-Dem) and the Global Leadership Project (GLP). What is global development? How should it be defined and measured? What patterns of development can be discerned across countries, within countries, and through time? What explains variation in development? Is it geography, colonialism, macroeconomic policy and international political economy, agricultural policy, demography, health policy, human capital and education policy, political institutions, culture, some admixture of the above, or something else entirely? What is the impact of development? Does it make people happier, more fulfilled? What is our responsibility vis-à-vis those who are less privileged? These are not easy questions and they do not suggest quick answers. One could easily spend a lifetime exploring a single facet of a single question. Through readings, lecture, and discussion we shall try to summarize the current state of research. But the purpose of this course is not to arrive at authoritative conclusions. It is, rather, to introduce students to these important topics and to underline their inter-relationships. Arguably, it is difficult to answer any single question without having a sense of how it relates to other questions. It is hard, for instance, to understand the role of education in structuring the achievement of individuals and societies without grappling with problems of health and infrastructure. It is hard, similarly, to understand the role of nation-states without also grappling with the international system within which states are situated. It is hard, finally, to understand present-day problems without understanding their history. In development, everything is connected to everything else. It follows that in understanding the topic of global development one must incorporate the work of many disciplines. This includes philosophy, economics, sociology, psychology, history, anthropology, archeology, and political science. All are represented on this syllabus, to varying degrees. Grades will be based on the following components: (a) class attendance and participation (10%); (b) midterm exam (25%); (c) final exam (25%), and (d) presentation and research paper (40%). You should be aware that this class will require a good deal of time and effort on your part. If you are unable to make this time-commitment you may be happier in a different course. Please arrive on time. Attendance at lectures and in discussion sections will factor into the final grade. If you arrive after attendance has been taken, your attendance will not be counted for that class. Do not read, sleep, or chat with your neighbors. Put your cell phones away. If you need to use your laptop to access readings or to take notes do not surf the web or use email. Be respectful of others in your comments. Do not leave until class is dismissed. Students are expected to take exams and complete written work at their scheduled times. By UT Austin policy, you must notify me of your pending absence at least fourteen days prior to the date of observance of a religious holy day. If you must miss a class, an examination, a work assignment, or a project in order to observe a religious holy day, you will be given an opportunity to complete the missed work within a reasonable time after the absence. I expect active participation from students. Do not think of participation simply as a matter of “saying something.” What you say must be pertinent to the question at hand. Be especially judicious in the use of anecdotes drawn from your personal life. Sometimes, they are relevant to the subject matter; sometimes, not. Let me say a word about my responses to your comments. You should realize that any instructor who incorporates discussion into classroom activity is in a somewhat awkward position. I want to encourage open and frank discussion but I must also be sure to correct any misperceptions that arise from such discussion. If a comment is factually or logically wrong I will call attention to it. The purpose is not to embarrass but simply to clarify the point – for that person and for everyone else, many of whom may share the confusion. Making mistakes is part of the learning experience. If you do not allow yourself to make mistakes you are preventing yourself from learning. I make mistakes all the time. There is nothing wrong with a wrong answer. Oftentimes, the most productive sort of answer or question is one that reveals what is not clear in people’s minds. It is problematic, however, if your answer reveals that you have not done the assigned reading or that you have not been paying attention to previous class discussion. Please be attentive to standard rules of decorum: avoid dogmatism, respect others’ views, and try to move class discussion forward (pay attention to what others say and respond to the previous point). Use the locution “like” only when comparing things – not, like, when pausing in the middle of a sentence. What’s wrong with American politics? Those who follow politics are familiar with the litany of complaints. Both liberals and conservatives find much that is wanting – though, naturally, they don’t always agree on what it might be. Typically, “normative” questions are downplayed in political science. We shall place them front and center as a way of motivating the course. Specifically, we shall try to identify potential problems with American politics, to conceptualize them clearly, to measure them in a systematic fashion, to chart their history, to compare their status in other countries, to understand their causes and their effects, and their possible solutions. In short, we shall try to apply social science to the apparent problems of American politics. Of particular concern are causal relationships. One should bear in mind that the ills of American politics – whatever they may be – are probably not the product of a single cause. That said, not all potential causal factors are equal. Some are undoubtedly more important than others. Some are more distal and others more proximal. Some may have a narrow sphere of influence while others affect a wide range of phenomena. Some might not be causes at all. This is what we will puzzle over. To address these questions in a systematic and rigorous fashion, students will need a grounding in social science methodology. This is the focus of the first part of the course (roughly three weeks), during which we will read sections from a methodology textbook (Gerring & Christenson 2017) and I will do a fair bit of lecturing. Some students may be familiar with this territory; even so, a refresher is in order by way of preface to the main section of the course. The first part of the course follows a traditional template, where the teacher teaches and the students listen – hopefully asking questions and making notes. This format is good for imparting lots of information but not very good at eliciting original thought or honing writing and presentational skills. The hallmark of a good education is not the facts you learn but your ability to learn new facts, and analyze those facts – to take a problem and work through it on your own or in the company of your peers, and to present your solution. This is what employers are looking for in the modern workforce, where most (well-paying) jobs demand creativity, analytic skills, independent learning, and skillful presentation - not rote memorization and highly repetitive, structured assignments. To facilitate this, Sections II and III “flip” the traditional classroom. That is, students do the research and teaching, and I facilitate, ask questions, offer suggestions, and occasionally critique. Each student will be asked to choose one problem area to focus on, as listed on the syllabus. I will try to accommodate people’s choices, but we can have no more than two people working on a single topic. So you may end up with a topic that is not your first choice. Students signed up for each meeting will be in charge of that meeting. You should begin by introducing the subject to the rest of the class, with the aid of PPT. If there is more than one presenter for a topic (as there will be for most class meetings), please coordinate so that the presentations are not redundant. Likewise, make sure that you choose distinctive topics for your research projects. Questions you might consider… What is the problem? How should it be conceptualized and measured? (Pay particular attention to the definition of complex, ambiguous concepts, e.g., “populism.”) What is its history and possible future course? How does the situation in the US compare with other countries? What are the possible causes and effects? What are some possible solutions? Don’t feel like you have to address all of these questions. And please try to avoid the sort of “ABC’s of American government.” Assume your audience is familiar with the basics of our constitution and our institutions – the sort of thing that an introductory course in American politics might impart. This is an advanced course in American politics so you can assume that everyone is on first or second base, so to speak. The main objective should be to craft a coherent and well-organized presentation. State clearly what you will accomplish at the outset. Your second slide (after the title slide) should contain an outline of the talk, and this outline should be logically ordered – just like an outline for a research paper. In the final part of your talk – comprising one or two slides – discuss how you plan to focus your own research. What part of this vast problem will you address? What evidence is available? What is your preliminary argument? How does it build upon, or differ from, what others have said? The last slide(s) of the PPT should display a list of the works (books and articles) that you surveyed – your working bibliography. PPT should be posted that day on Canvas. All of the topics laid out below are vast, so you will need to decide how to define it and bound it. State clearly at the outset what you intend to cover and be sure you cover it in some fashion (though naturally you won’t have time to go into a great deal of detail given the breadth of these topics). So, you might take a topic like polarization and – after talking about the topic in a general vein for a few minutes – focus on polarization in a particular venue (e.g., Congress) or a particular causal factor. The presentation will be accompanied and followed by questions and discussion from the rest of the class. Those in the audience should act as (constructive) critics. That is, they should offer their own views, especially if at variance with the speaker’s views. This is an occasion for a wide-ranging discussion of the problem at-hand (within the available time-constraints). With respect to the presentation itself, audience members should praise the strengths of the presentation while also pointing out ambiguities and weaknesses, and giving specific feedback on the proposed topic. How can the presenter achieve his/her goals? Is it a tractable topic? (Is it too big, or too small?) What evidence might be helpful? This section will follow the format of the previous section. However, instead of speaking generally about the topic (as you did in the first presentation) focus exclusively on your own research, which should be much further along than it was the first time you presented. As previously, each presentation should be approximately 25-30 minutes, followed by discussion. As previously, members of the audience will function as constructive critics. Issues for debate are both substantive (Is the presenter correct?) and methodological (Are there strong grounds for accepting the presenter’s argument? What is the evidence, and has it been correctly construed?). Indeed, many of the debates boil down to methodological issues. Should we accept the correlation between money and voting behavior in Congress as a sign of the influence of money? How can we play out the counterfactual (a member’s behavior if s/he didn’t receive a campaign contribution from a corporation or individual)? When citing a study, the presenter will need to be able to answer questions about its methodology. It is not sufficient to note that it was published in a peer review journal with lots of fancy tables and graphs. This is why the first section of the course, on social science methodology, is so important. The final draft of the paper will be handed in at the end of the semester. You will need to respond to the comments and suggestions you receive from your colleagues, and from me, in your presentations. Target length for the paper is 10-15 pp (single-space, 1-inch margins all around, 12-point font). However, do not to be too concerned with the length of the paper. This is the least important aspect of your work. Put differently, some papers are too long and others are too short. But this is not because they have failed to reach, or have surpassed, an arbitrary page threshold. It is because, based on their merits, they have more to do – or there are redundant features that need to be excised. Students are encouraged to exchange ideas, sources, and drafts – especially if they are working on related topics. But writing must be done individually. Any sharing of text will be viewed as plagiarism unless it is explicitly cited. In putting together your presentation and paper you should survey the literature on the topic – books and articles, with special attention to scholarly work (though one shouldn’t take this distinction too seriously, as sometimes work addressed to a broad audience of lay readers is topnotch). You should also develop an argument. The argument might be original, or it might be derivative. If the latter, you must have some original content. For example, if there are contending perspectives on a topic you might show why one argument is superior to others. Or you might show how arguments that seem to be conflicting can actually be reconciled. You might also review a wider range of empirical material than previous studies have done. This, too, is an original and valuable contribution. You might, finally, do some empirical work of your own. This is not required, but with some subjects – if they have not been adequately probed, or some aspect of existing studies seems suspect – it may be invaluable. My list of background sources features books, with only a smattering of articles, and many of the books are written for a popular audience – which makes them accessible and fun, but also perhaps rather limited. The topics, as well as the background sources, overlap. This means that one topic or book will often touch on other topics. Try to focus as much as possible on “your” topic, so as not to trespass on other people’s topics. But don’t worry too much about it. Overlap is fine, as you can learn from each other. My list of background sources is intended as a jumping-off place. You will need to find additional material. What that material is depends of course on how you choose to orient your presentation and paper. Note that just because a source is relevant to your topic does not mean that you need to read it from beginning to end. It means that you must read in a focused, strategic manner. I encourage you to spend more time on academic sources than popular sources. Still, with a topic such as ours it is important to see what journalists, pundits, and bloggers have to say. Sometimes, it’s pretty sophisticated; sometimes, it’s merely dogmatic. You will have to judge. This is not a course on current events. Still, it’s important to stay on top of what’s going on in the crazy world of US politics. For general coverage and commentary see: New York Times, Washington Post, Vox, FiveThirtyEight, Monkey Cage. For a sampling of right- and left-wing views see: Real Clear Politics. To situate yourself, it may be helpful to begin by taking a look at an American politics textbook. I think most of them are pretty good, though naturally their coverage of particular issues will vary. More specialized textbooks are also available for many of the subjects we are dealing with in this course. These should be especially helpful in gaining an overview of the subject. Beyond textbooks, academic work appears in a variety of university presses and in journals, most of which are available electronically through the library and many of which are hosted in JSTOR. Search for academic work on a subject with Google Scholar or Web of Science. If you find a source that is right on topic, take a look at the sources that it cites and the sources that cite it (which Google Scholar and Web of Science will allow you to do). I expect active participation from students, within the constraints imposed by class size. However, do not think of participation simply as a matter of “saying something.” There are insightful comments and questions, and then there is irrelevant drivel. You know what I’m getting at. Be especially judicious in the use of anecdotes drawn from your personal life. Sometimes, they are relevant to the subject matter; sometimes, not. Let me say a word about my own responses to your comments. You should realize that any instructor who incorporates discussion into classroom activity is in a somewhat awkward position. I want to encourage open and frank discussion but I must also be sure to correct any misperceptions that arise from such discussion. If a comment is factually or logically wrong I will call attention to it. The purpose is not to embarrass the speaker but simply to clarify the point – for that person and for everyone else, many of whom may share the confusion. Making mistakes is part of the learning experience. If you do not allow yourself to make mistakes you are preventing yourself from learning. I make mistakes all the time. There is nothing wrong with a wrong answer. Oftentimes, the most productive sort of answer or question is one that reveals what is not clear in people’s minds. It is problematic, however, if your answer reveals that you have not done the assigned reading or that you have not been paying attention to previous class discussion. Please be attentive to standard rules of decorum: avoid dogmatism, respect others’ views, and try to move class discussion forward (pay attention to what others say and respond to the previous point). We will observe the 1-finger/2-finger rule. When you raise two fingers it means that your comment follows directly upon the preceding point. Use the locution “like” only when comparing things – not, like, when pausing in the middle of a sentence. This is an upper division course in political science (aka government). I am expecting that many students will be avid political junkies. All students should have taken at least one introductory course in American politics. If you’re unsure about the basics, review a textbook on American politics. Grades will be based on the following components: (a) attendance (10%), (b) participation, including feedback on others work (20%), (c) first presentation (10%), (d) second presentation (10%), (e) outline of research paper (10%), (f) final draft of research paper (30%). This graduate course provides an introduction to methodological issues faced in empirical work of a qualitative nature. Students should appreciate that this is a difficult matter to define and that – regardless of how defined – issues faced by qualitative research are not so different from issues faced by quantitative research. The course highlights what I believe to be the most practical, hands-on aspects of qualitative research. Larger philosophical discussions are relegated to a small section at the end of the semester. Although the course should be relevant to any style of research it is primarily oriented to work that aims toward general theories of social behavior – where the scope of the inference is larger than the topic under study. There are no pre-requisites, although students are presumed to have a grounding in core issues of social science methodology. This course is one of a handful you will take as part of your degree. It offers an opportunity learn a lot about methodology. I have structured the course as best I can to facilitate this. However, what you take away from this course is primarily up to you. Think of this course as an opportunity to learn rather than a hoop that you must jump through. Think of me as a facilitator. It will be more fun that way, for me and for you. Your grade for this class will be comprised of (a) participation (attendance, class discussion) (20%) and (b) weekly assignments (80%). Since the class meets a limited number of times throughout the semester, only one excused absence (beyond the first class meeting, which is largely organizational) will be granted. Late papers will also be penalized. No excused absences, makeups, extensions, or incompletes will be granted without documentation of medical, religious or personal reasons, or for official university business. If you will be missing class for religious reasons you must inform me of these dates during the first week of class. I will begin some class meetings with a lecture. However, lectures are intended to supplement, not replace, that week’s readings. There is no way that I can present all the material in lecture format. There is simply too much. Nor would it be helpful for me to spoon-feed it to you. So, make sure that you do the reading carefully (don’t depend on me to synthesize it) and ask questions about subjects raised in the readings that you do not understand. I will endeavor to explain them, or direct you to more specialized readings that do so. Whether this course is fun and enlightening, or dreary and mystifying, will depend primarily upon your contribution. In particular, it will depend upon active participation from every student in every session. I consider this to be your responsibility. You are part of a collegial profession, and this means sharing your thoughts on the material under discussion – assigned readings as well as papers written by your peers. If you need an additional incentive, consider this: students must participate regularly in order to get a good grade in this class. Shyness, or unfamiliarity with the English language, is no excuse. This is a talking profession. Yadayadayada. Please be attentive to standard rules of decorum: avoid dogmatism, respect others’ views, and try to move class discussion forward (pay attention to what others say and respond to the previous point). Do not email, Facebook, browse the web, or engage with unrelated material on your laptop while the class is in session. For most class meetings there is a short assignment. I hesitate to impose a uniform page or word limit, as the length needed for a given topic vary and are hard to predict. As a ballpark, let’s say 2-5 pages, single-spaced. But bear in mind that length is one of the least important aspects of your work for this class. Please turn in the assignment – by posting it on Canvas – two days prior to class. The final exam will cover everything -- all required reading and all in-class discussion. (Many of the questions on the final will have been discussed in class.) It is a closed-book, closed-note test – just you and the exam. I strongly encourage you to study in small groups for the final. The reading for graduate courses is extensive; this course is no exception. As it is, we are barely scratching the surface of this vast subject matter. Each week’s reading will probably take you more than one night to get through. Do not wait until the night before to start reading. Note also that some of the readings are chosen for their heuristic value, not necessarily for their methodological rigor. Just because a book or article appears on this syllabus does not mean that it has received a seal of approval from the rabbinical council. Most of the assigned readings are available for purchase or can be downloaded from the web. Others will be posted on Canvas. Please let me know ASAP if you cannot obtain a reading so I can straighten things out. And please bring all required readings to class (or have them accessible on your laptop) so that we can refer to specific passages. Additional readings on these and other subjects are contained in an on-line bibliography – the Methods Coordination Project (MCP), posted at CQRM. Brady, Henry, David Collier, eds. 2010. Rethinking Social Inquiry: Diverse Tools, Shared Standards, second ed. Lanham: Rowman and Littlefield. Gerring, John. 2012. Social Science Methodology: A Unified Framework, 2d ed. Cambridge: Cambridge University Press. Hochschild, Arlie. 2016. Strangers in Their Own Land: Anger and Mourning on the American Right. New Press. Howell, Martha, Walter Prevenier. 2001. From Reliable Sources: An Introduction to Historical Methods. Ithaca: Cornell University Press. Mosley, Layna (ed). 2013. Interview Research in Political Science. Ann Arbor: University of Michigan Press. Box-Steffensmeier, Janet, Henry Brady, David Collier (eds). 2008. The Oxford Handbook of Political Methodology. Oxford: Oxford University Press. Brady, Henry E., David Collier (eds). 2010. Rethinking Social Inquiry: Diverse Tools, Shared Standards, 2d ed. Lanham: Rowman & Littlefield. Dunning, Thad. 2012. Natural Experiments in the Social Sciences. Cambridge: Cambridge University Press. This section is included by way of background. I assume that most students have already read the book or are familiar with the material, which I will review using PPT during class. For those who are not, please read these chapters carefully as they are essential for the rest of the course. Develop an idea for a paper that might be publishable, someday. It may be an idea that you’ve toyed with for some time, and perhaps something that will become part of your dissertation. However, I don’t want you to recycle work that you’ve done previously. I want you to come up with something new, or at least partly new. Write down the idea in brief form - theory, main hypothesis, projected research design, and anticipated difficulties or unknowns. State what you think has been done on this subject before, but don’t worry about a complete literature review. As the final element of this assignment, evaluate your proposal on the following dimensions: (a) importance of the subject, (b) theoretical novelty (how much would it change our view of the subject? ), (c) strength and novelty of the research design, (d) feasibility. Waldner, David. 2015. “What Makes Process Tracing Good? Causal Mechanisms, Causal Inference, and the Completeness Standard in Comparative Politics.” In Bennett and Checkel, eds., Process Tracing in the Social Sciences: From Metaphor to Analytic Tool (Cambridge: Cambridge University Press). Choose an event, or set of events, with which you are familiar (or would like to become familiar). It must be a topic about which enough source materials exist – or can be gathered – in order to piece together a fairly complete picture of what went on. (Source materials might be anything – interviews, archives, secondary works,…) And it must be an outcome that can be tied to a generalizable causal argument. Having chosen your event(s), process-trace it – i.e., try to reach a determination about what factor(s) caused an outcome, and what factors probably did not. Reflect on the strength and weaknesses of your work and contrast this approach with others that might be taken to the same general subject. Choose a case study (following the definition provided in the book) that you think is especially successful in reaching some sort of generalizable causal or descriptive inference. Explain the strengths and weaknesses of that case study and compare it with other approaches that have been, or might be, taken to that subject. Sartori, Giovanni1970. “Concept Misformation in Comparative Politics,” American Political Science Review 64(4): 1033–1046. Choose a term, A, that you are familiar with and about which there are significant disagreements or ambiguities. Survey near-synonyms, clarifying how they compare and contrasts with A. Survey definitions and usages of A, reducing this plenitude of information to a small number of dimensions in a single table. Explain why authors choose to define the term in different ways. What is the point of these different definitions? Construct minimal and maximal definitions for A that might serve general readers well. Propose a definition (which might be minimal or maximal) that you think is likely to be most useful, perhaps with an eye to your own work. Why is this definition better (on some dimension) than others? Gerring, John. 2012. “Mere Description.” British Journal of Political Science 42:4 (October) 721-46. Identify a descriptive question that you think is important. The question must be a general one, applicable to a broad population. (Unacceptable: Who shot JR? Acceptable: What sort of people are shot on television?) Briefly outline work that has been done on this subject, or might be done. Questions to consider: How convincing is this work (or how convincing could it be)? What are the obstacles to inference? Is it (or would it be) recognized as important within the disciplines of political science (or other social sciences)? Is it as important as causal questions that might be raised in connection with this subject? If you have already conducted interviews, you may use this as the basis for your assignment. If not, conduct a fresh interview that is related in some way to your research, or to some research that you might pursue in the future. The interview may be conducted in person or by phone/skype. Now, write up your experience. How did you choose whom to interview? How did you prepare for the interview? What purpose did you hope the interview would serve? Was the interview successful? In what way(s)? Did you learn something new? Do you feel the respondent was honest and forthcoming? Why, or why not? Are there other questions you would like to have asked? Are there background issues that you feel you should have known more about prior to the interview? Fenno, Jr., Richard F. 1986. “Observation, Context, and Sequence in the Study of Politics.” American Political Science Review 80:1 (March) 3-15. Did Hochschild succeed in what she set out to do? Was ethnography a good tool for that purpose? Was it the best tool? To what extent did she (or should she) integrate other sorts of data? Was Hochschild addressing (generalizable) causal questions? Would ethnography work for that purpose? Harrison, Hope. “Inside the SED Archives: A Researcher's Diary.” CWIHP bulletin. Do some work in an archive. Lots of archives are now available on-line. Alternatively, you can make a trip to one of the archives on campus or in the Austin area. Hopefully, you can find an archive that addresses a question of interest to you, perhaps related to your dissertation work. If you have already done archival work you may draw on this for the assignment. Your assignment: discuss your archival experience. What did you set out to discover? Did you find it? How conclusive was your finding? How did your findings fit with what other sources say, or with common wisdom? Was archival work more useful than other approaches that might have been taken to this question? For other examples of large-scale coding projects see: Archigos, Comparative Constitutions Project, Correlates of War, Freedom House, Global Leadership Project, NELDA, Polity. Identify a concept that is amenable to systematic coding and has not been adequately, or systematically, measured. Develop a coding system – nominal, ordinal, or interval. And implement it, at least with a small sample. Discuss the experience. How successful was it? What sorts of measurement error did you encounter? Could these errors be overcome? If so, how? Is your measure, when completed, likely to be superior to others that have been, or might be devised? What are its strengths and weaknesses? What could the resulting indicator be used for? Beck, Nathaniel. 2006. “Is Causal-Process Observation an Oxymoron?” Political Analysis 14, 347- 352. Brady, Henry E., “Data-Set Observations versus Causal Process Observations: The 2000 U.S. Presidential Election,” in Henry Brady and David Collier, eds., Rethinking Social Inquiry: Diverse Tools, Shared Standards, second ed. (Lanham: Rowman and Littlefield, 2010), pp. 237-242. Collier, David, Henry E. Brady, Jason Seawright. 2010. “Sources of Leverage in Causal Inference: Toward an Alternative View of Methodology.” In Henry Brady and David Collier, eds., Rethinking Social Inquiry: Diverse Tools, Shared Standards, second ed. (Lanham: Rowman and Littlefield), pp. 161-199. Collier, David, Jason Seawright, Gerardo L. Munck. 2004. “The Quest for Standards: King, Keohane, and Verba’s Designing Social Inquiry.” In Henry Brady and David Collier (eds), Rethinking Social Inquiry: Diverse Tools, Shared Standards (Lanham, MD: Roman and Littlefield) 21-50. Gerring, John. 2017. “Qualitative Methods.” Annual Review of Political Science 20 (May/June). Hall, Peter. 2003. “Aligning Methodology with Ontology,” in James Mahoney and Dietrich Rueschemeyer, eds., Comparative Historical Analysis in the Social Sciences (Cambridge: Cambridge University Press). Lake, David A. 2011. “Why ‘isms’ are Evil: Theory, Epistemology, and Academic Sects as Impediments to Understanding and Progress.” International Studies Quarterly 55: 465-80. Mahoney, James, Gary Goertz. 2006. “A Tale of Two Cultures: Contrasting Quantitative and Qualitative Research.” Political Analysis (Summer) 14:3, 227-249. Mahoney, James. 2010. “After KKV: The New Methodology of Qualitative Research,” World Politics 62:1 (January) 120-147. Rudolph, Susanne Hoeber. 2002. “In Defense of Diverse Forms of Knowledge.” PS: Political Science and Politics (June) 199-201. Wedeen, Lisa. 2010. “Reflections on Ethnographic Work in Political Science.” Annual Review of Political Science 13, 255-72. 1. What is global justice? How could/should this concept be defined and measured? If we take the view that wellbeing (aka human development) is a key element of justice, what indicators of wellbeing should we choose? What does it mean to be lacking in basic resources? What is the lived experience of poverty? What non-material elements of wellbeing deserve to be considered? 2. What patterns of wellbeing can be discerned across countries, within countries, and through time? Does global inequality go hand-in-hand with intra-country inequality? Does income go hand-in-hand with other aspects of human development and with happiness? 3. What explains human development? Is it (a) geography and infrastructure, (b) colonialism and slavery, (c) macroeconomic policy and international political economy, (d) agricultural policy (e) demography, (f) health policy, (g) human capital and education policy, (h) political institutions, (i) culture, or (j) some admixture of the above? Grades will be based on the following components, equally weighted (25% each): (a) class attendance and participation; (b) midterm exam; (c) final exam, and (d) research paper. Banerjee, Abhijit; Roland Benabou; Dilip Mookherjee (eds). 2006. Understanding Poverty. Oxford: Oxford University Press. This textbook provides a clear, concise, and comprehensive introduction to methodological issues encountered by the various social science disciplines. It emphasizes applications, with detailed examples, so that readers can put these methods to work in their research. Within a unified framework, John Gerring and Dino Christenson integrate a variety of methods – descriptive and causal, observational and experimental, qualitative and quantitative. The text covers a wide range of topics including research design, data-gathering techniques, statistics, theoretical frameworks, and social science writing. It is designed both for those attempting to make sense of social science, as well as those aiming to conduct original research. The text is complemented by practice questions, exercises, examples, key term highlighting, and additional resources, including related readings and websites. An essential resource for undergraduate and postgraduate programs in communications, criminal justice, economics, business, finance, management, education, environmental policy, international development, law, political science, public health, public policy, social work, sociology, and urban planning. Case Study Research: Principles and Practices, 2d ed., Cambridge University Press, 2017. Case Study Research: Principles and Practices provides a general understanding of the case study method as well as specific tools for its successful implementation. These tools are applicable in a variety of fields, including anthropology, business and management, communications, economics, education, medicine, political science, psychology, social work, and sociology. Topics include: a survey of case study approaches; a methodologically tractable definition of “case study”; strategies for case selection, including random sampling and other algorithmic approaches; quantitative and qualitative modes of case study analysis; and problems of internal and external validity. The new edition of this core textbook is designed to be accessible to readers who are new to the subject and is thoroughly revised and updated, incorporating recent research. Edward Cohen, Journal of Sociology and Social Welfare 35:2 (June 2008) 161-4. Michael Coppedge, Evan Lieberman, James Mahoney, and Rogers Smith, a symposium in Qualitative Methods: Newsletter of the American Political Science Association organized section for Qualitative and Multi-method Research 5:2 (Fall 2007) 2-15. Thad Dunning, Journal of Politics 70:1 (January 2008) 282-3. C.M. O’Brien, International Statistical Review 75:3 (December 2007) 432. 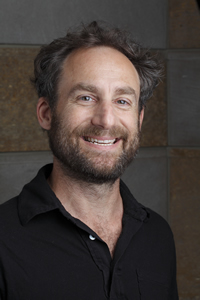 David Shulman, American Anthropologist 110:1 (March 2008) 106. Dan Slater, Perspectives on Politics 6:2 (June 2008) 402-3. Mary Stalp, Contemporary Sociology 37:1 (January 2008) 76-7. Social Science Methodology: A Unified Framework, Cambridge University Press, 2012. A one-volume introduction to social science methodology relevant to the disciplines of anthropology, economics, history, political science, psychology, and sociology. This new edition has been extensively developed with the introduction of new material and a thorough treatment of essential elements such as conceptualization, measurement, causality, and research design. It is written for students, long-time practitioners, and methodologists, and covers both qualitative and quantitative methods. It synthesizes the vast and diverse field of methodology in a way that is clear, concise, and comprehensive. While offering a handy overview of the subject, the book is also an argument about how we should conceptualize methodological problems. Thinking about methodology through this lens provides a new framework for understanding work in the social sciences. This is a dramatically revised and expanded edition of the 2001 edition. The general framework is the same, but virtually everything else is changed. Jack Goldstone, APA Review of Books 49:3 (2004) 357-8. George Thomas, “The Qualitative Foundations of Political Science Methodology,” Perspectives on Politics 3:4 (December 2005) 855-66. Edited by David Collier and John Gerring, Routledge, 2008. Part I : Sartori on Concepts and Methods – including an examination of the necessary logical steps in moving from conceptualization to measurement and the relationships among meanings, terms and observations. Part II: Extending the Sartori Tradition – eminent scholars analyse five key ideas in concept analysis: revolution, culture, democracy, peasants and institutionalization within the context of the Sartori tradition. Part III: In the Academy and Beyond – both an engaging autobiographical essay written by Giovanni Sartori and reflections from former students provide a unique context in which to situate this varied and rigorous discussion of concept analysis and qualitative methods. Concepts and Method in Social Science is an accessible text that is ideally suited to advanced undergraduates and postgraduates, providing a distinct and coherent introduction to comparative political analysis. A one-volume introduction to social science methodology, relevant to the disciplines of anthropology, economics, history, political science, and sociology. Written for students and practitioners, as well as methodologists, it provides a structure for organizing quantitative and qualitative research. While offering an overview of this vast and diverse subject, the book presents an argument about how we should conceptualize methodological problems. Tasks and criteria, the author argues – not fixed rules or procedures – best describe the search for methodological adequacy. Thinking about methodology through this lens provides a new framework for understanding and conducting research in the social sciences. Gerring, John, Daniel Pemstein, Svend-Erik Skaaning. 2018. “An Ordinal, Concept-driven Approach to Measurement: The Lexical Scale.” Sociological Methods and Research (forthcoming). Annual Review of Political Science 20 (May/June, 2017). B. Guy Peters, Jon Pierre, Gerry Stoker (eds), The Relevance of Political Science (Palgrave Macmillan, 2015), Chapter 2. Bertrand Badie, Dirk Berg-Schlosser, Leonardo Morlino (eds), International Encyclopedia of Political Science (Sage, 2011) (with Craig W. Thomas). Symposium: Perfecting Methodology or Methodological Perfectionism? Qualitative and Multi-Method Research: Newsletter of the American Political Science Association Organized Section on Qualitative and Multi-Method Research(Spring 2011) 8-33 (with Jason Seawright; Adam Glynn; Andrew Bennett). Comparative Political Studies 43:11 (November 2010) 1499-1526. Qualitative and Multi-Method Research: Newsletter of the American Political Science Association Organized Section on Qualitative and Multi-Method Research(Fall 2008) 2-16 (with David Collier, James Fearon, David Freedman, Gary Goertz, and David Laitin). Political Research Quarterly 61:2 (June 2008) 294-308 (with Jason Seawright) (published version). British Journal of Political Science 37 (2007) 1-19. American Journal of Political Science 51:3 (July 2007), 688-701. Comparative Political Studies 40:3 (March 2007) 231-53.
International Sociology 21:5 (September 2006) 707-734. Polity 38:1 (January 2006) 101-33 (with Joshua Yesnowitz). Journal of Theoretical Politics 17:2 (April 2005) 163-98. American Political Science Review 98:2 (May 2004) 341-54. Journal of Theoretical Politics 15:2 (April 2003) 201-32 (with Paul A. Barresi). Qualitative Methods (Fall 2003) 2-6. Polity 31:3 (Spring 1999) 357-93. Political Research Quarterly 50:4 (December 1997) 957-94. This book sets forth a relatively novel theory of democratic governance, applicable to all political settings in which multi-party competition obtains. Against the prevailing decentralist theory (deriving from Madison and Montesquieu), we argue that good governance arises when political energies are focused toward the center. Two elements must be reconciled in order for this process of gathering together to occur. Institutions must be inclusive and they must be authoritative. We refer to this combination of attributes as “centripetal.” While the theory has many potential applications, in this book we are concerned primarily with national-level political institutions. Among these, we argue that three are of fundamental importance in securing a centripetal style of democratic governance: unitary (rather than federal) sovereignty, a parliamentary (rather than presidential) executive, and a closed-list PR electoral system (rather than a single-member district or preferential-vote system). We test the impact of these institutions across a wide range of governance outcomes. Helge Holtermann, Journal of Peace Research (May 2009) 455-6. Timothy Hellwig, Comparative Political Studies (2009) 998-1001. Florina-Laura Neculai, euroPOLIS (June 2009) 708-10. Knutsen, Carl Henrik, Jan Teorell, Tore Wig, Agnes Cornell, John Gerring, Haakon Gjerløw, Svend-Erik Skaaning, Daniel Ziblatt, Kyle L. Marquardt, Dan Pemstein, Brigitte Seim. 2018. “Introducing the Historical Varieties of Democracy Dataset: Political Institutions in the Long 19th Century.” Journal of Peace Research. Forthcoming. Gerring, John, Erzen Oncel, Kevin Morrison, Daniel Pemstein. 2019. “Who Rules the World? A Portrait of the Global Leadership Class.” Perspectives on Politics (forthcoming). Gerring, John, Daniel Pemstein, Svend-Erik Skaaning. 2018. “An Ordinal, Concept-driven Approach to Measurement: The Lexical Scale.” Sociological Methods and Research (on-line first). “A General Theory of Power Concentration: Demographic Influences on Political Organization.” European Political Science Review (forthcoming). Gerring, John, Matthew Maguire, Jillian Jaeger. 2018. Knutsen, Carl Henrik, John Gerring, Svend-Erik Skaaning, Jan Teorell, Matthew Maguire, Michael Coppedge, Staffan Lindberg. 2018. “Economic Development and Democracy: An Electoral Connection.” European Journal of Political Research (early view). “Party Strength and Economic Growth.” World Politics 70:2 (April) 2018. Bizzarro, Fernando, John Gerring, Allen Hicken, Carl Henrik Knutsen, Michael Bernhard, Svend-Erik Skaaning, Michael Coppedge, Staffan I. Lindberg. Gerring, John, Strom C. Thacker, Yuan Lu, Erzen Oncel. 2017. “When Are Minorities Worse Off? A Systematic Investigation of Size and Status.” Journal of Development Studies 53:12, 2086-2101. Gerring, John, Michael Hoffman, Dominic Zarecki. 2018. “The Diverse Effects of Diversity on Democracy.” British Journal of Political Science 48:2 (April) 283-314. American Political Science Review 109:3 (August 2015) 574-91. (with Maxwell Palmer, Jan Teorell, and Dominic Zarecki). Comparative Political Studies 48:12 (October 2015) 1491-1525. (with Svend-Erik Skaaning and Henrikas BartuseviÄÂÂÂÂÂius). World Development 66 (February 2015), 166-88 (with Strom C. Thacker, Yuan Lu, Wei Huang). Journal of Democracy 25:3 (July 2014) 159-169 (with Staffan I. Lindberg, Michael Coppedge, Jan Teorell, et al.). Social Science & Medicine 93 (September 2013) 21-28 (with Strom Thacker, Ruben Enikolopov, Julian Arevalo, Matthew Maguire). Perspectives on Politics 9:1 (June 2011) 247-67 (with Michael Coppedge). World Politics 57:3 (April 2005) 323-64 (with Philip Bond, William Barndt, and Carola Moreno). Is American politics “ideological,” or relatively consensual? Do the American parties differ from one another and, if so, how? This work offers a synthetic history and analysis of the ideologies of the major American parties from the early nineteenth century to the present. It draws on party platforms and campaign speeches, analyzed quantitatively and qualitatively. The author argues that the American parties have always articulated relatively coherent, differentiated, and enduring ideologies, though the content of those ideologies has changed considerably over the past century and a half. In order to understand the party battles of the present it is necessary to understand the content of past party struggles. The parties of today, though still ideological, have relatively little in common with the parties of yesteryear. Walter Dean Burnham, Journal of American History (September 2000) 625-7. Richard J. Ellis, Journal of Politics 61:4 (November 1999) 1182-3. Bert A. Rockman, Journal of Interdisciplinary History 30:4 (Spring 2000) 709-11. Clyde Weed, American Political Science Review 93:2 (June 1999) 451-2. "APD from a Methodological Point of View"
Studies in American Political Development 17:1 (Spring 2003) 82-102. Journal of Policy History 11:4 (1999) 399-42. "The Perils of Particularism: Political History after Hartz"
Journal of Policy History 11:3 (1999) 313-22. "Culture versus Economics: An American Dilemma"
Social Science History 23:2 (Summer 1999) 129-72. "Continuities of Democratic Ideology in the 1996 Campaign"
Polity 30:1 (Fall 1997) 167-86. Studies in American Political Development 11:1 (Spring 1997) 44-108. "A Chapter in the History of American Party Ideology: The Nineteenth-Century Democratic Party, 1828-1892"
Polity 26:4 (Summer 1994) 729-68.